There is one thing that threatens to rival my obsession with cushions, and that would be my obsession with bedding. I like our bedroom to be seasonal - a warm and inviting sanctuary to retreat to in the cooler months and a bright and uplifting space to wake up to in the warmer months. Considering we spend about a third of our lives sleeping, the bedroom seriously needs to be a place I enjoy spending time in. Textile designers totally inspire me with the way that they come up with funky designs to suit the latest trends and I adore the fact that you can easily give your bedroom a mini makeover by simply changing the bedding. 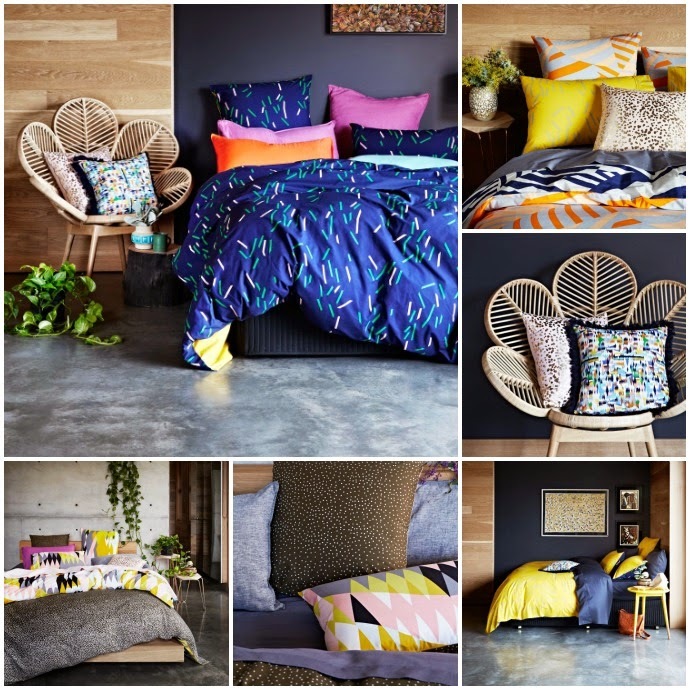 Adairs have just announced an exciting collaboration between their contemporary lifestyle label, Home Republic, and cult boutique bedding label, Kip & Co. 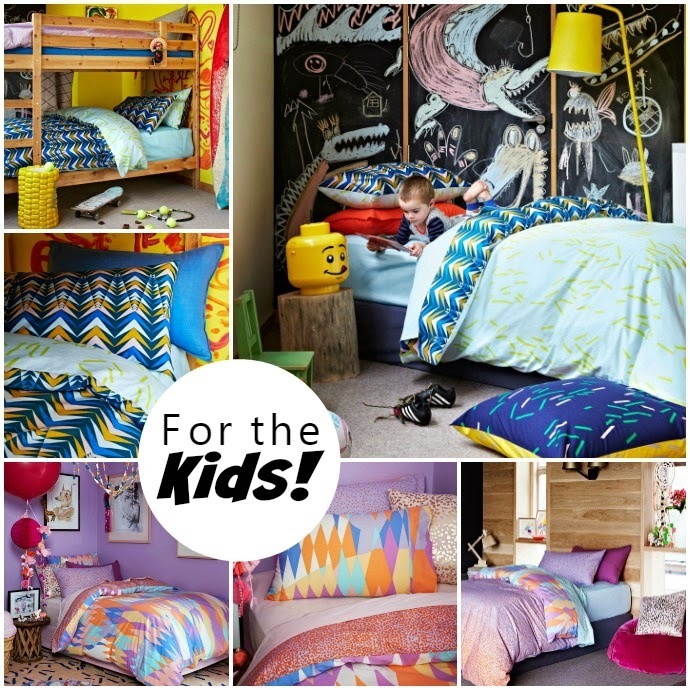 Together they have created a limited edition colourful range of bedding, cushions and towels for both adults and the little people. There are five reversible designs available in SB, DB, QB & KB sizing, along with cushions and towels to match. The adult range highlights Kip & Co's distinctive signature style and prints, and features bold pops of colour, all perfectly aligned with this season's trends. For the munchkins, it's all about bringing colour and fun to their space. 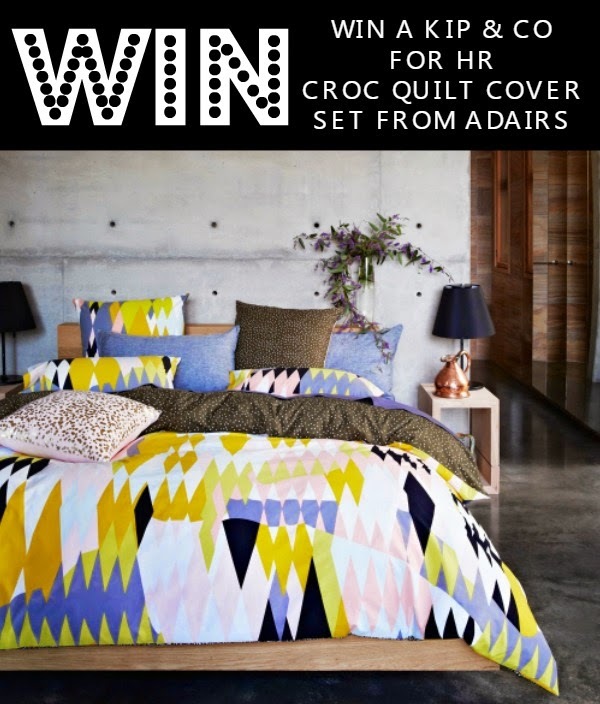 Now for those of you who are keen to throw your hat into the ring for a chance to win some, Adairs have given me a Queen Size Kip & Co Croc design Quilt set for one of you lucky people to win. What's your number one tip for a good night's sleep? **DISCLOSURE: I was some product from Adairs to review and some to give away.